Eat Pray Love was an enjoyable book written loosely by and about Elizabeth Gilbert. The story is both charming and inspirational – even though the movie didn’t give it quite the justice it deserved. Elizabeth Gilbert had everything a modern woman is supposed to dream of having – a husband, house, successful career, yet she found herself lost, confused, and searching for something else. She embarks on a journey for self-discovery. And discovers the pleasures of eating, the power of prayer, and the inner peace and balance of true love. 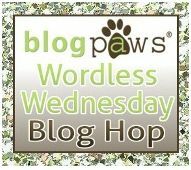 It’s the BlogPaws Wordless Wednesday Blog Hop ya’ll. I’m so happy that you all have addapted so well to your new neighborhood & neighbors. All lives would be improved with a doodle! (In my humble opinion!). Thanks for the smile today. You’re right, Julia Roberts wouldn’t have had to travel the world looking for answers if she just had a Doodle! I think you are right! Any movie is better with a pet. 🙂 I think Jax would make a great movie star. All the girls would swoon over him. Love it! I definitely would rather read/watch Jax’s story! Yep, I’d definitely rather go see Jax’s Eat Play Love! You’re welcome JoAnn, I love it! Yes, maybe that’s all Julia needed. After all Archer’s best friend is a Doodle. 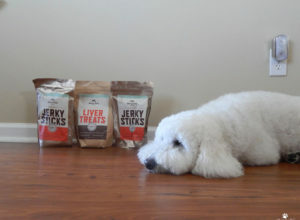 Thanks Jenna – that makes me smile!